The BRISK PREMIUM+ IRIDIUM uses a combination of Centre electrode made of Iridium and ground electrode from Yttrium alloy with cooper core cut to spark plug centre which decreases demand for voltage. It opens spark gap into combustion chamber and suppresses significantly flame extinguishing effect at cold starts. In so doing the replacement interval 100,000 km is maintained. 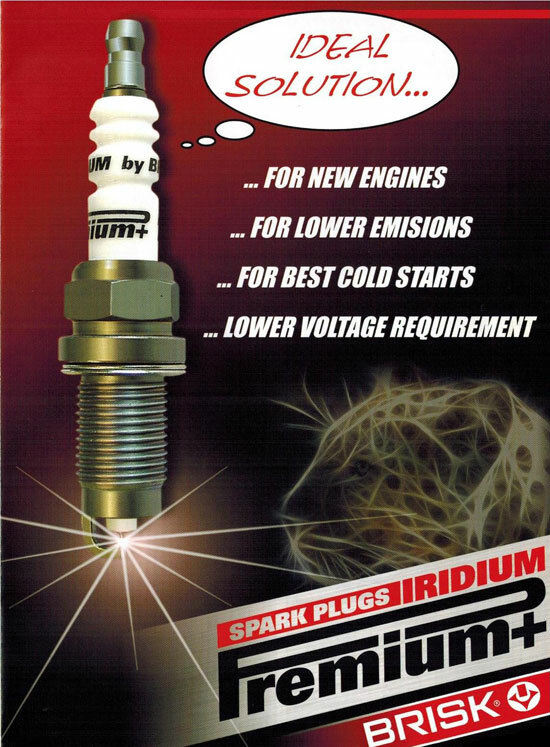 The material used in the spark plugs has a major impact on lifetime and functional properties. While precious metals such as Platinum and Iridium are very resistant to wear, but have a considerable demand for high voltage generated by the ignition system. The combination of Iridium center electrode and ground electrodes of special design with Yttrium alloy which is based on Nickel is an ideal solution for maintaining lifetime and spark plug performance improvements not found on other competitor products. 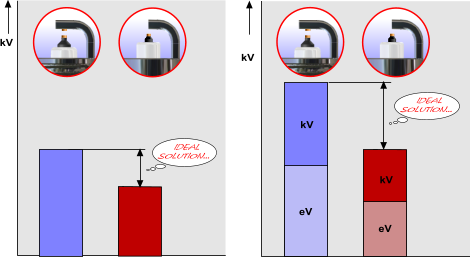 The requirement for power generated by the ignition system is also influenced by the geometric shape of the spark gap. 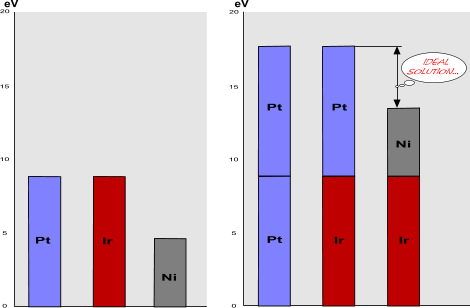 Optimal combination of the spark gap and the reduced demand for voltage by appropriate choice of electrode material effect synergic on improvement of spark plug performance and life as can be seen below. Significant surface reduction of electrodes from which the heat is carried off at cold starts eliminates the flame extinguishing. This greatly improves the cold starts of the vehicle. Why BRISK PREMIUM+ IRIDIUM is the IDEAL CHOICE ! The ground electrode which is cut centred to centre electrode assures the suppression of flame extinguishing effect at cold starts and does not hinder the flame front propagation into combustion chamber. Special alloy Yttrium reduces essentially the burnings of electrodes and enables the flashover from rather long edge by poor demand for a voltage supplied by ignition system. The Cooper core of ground electrode reduces the temperature by 100 C; thereby it increases a change interval to the value comparable with spark plugs equipped with two Platinum contacts. Iridium contact on the centre electrode assures a long change interval. The space between reduced diameter of centre electrode and insulator tip enables a fast evaporation of fuel and prevents formation of soft combustion deposits on the insulator tip. 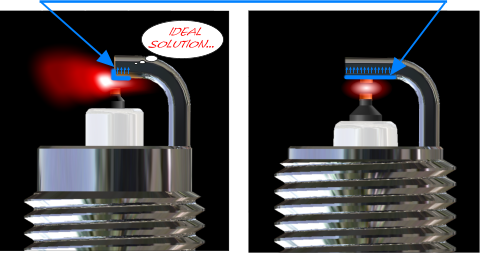 The cylindrical ending of insulator tip enables very fast achievement of self cleaning temperature after engine start. The ceramics mass with high content of AI2O3 with increased dielectric strength. The surface protection Zn/Ni extends the resistance to corrosion. 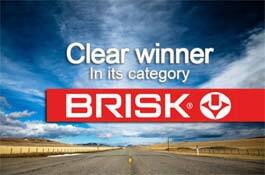 If you wish to buy the BRISK SPARK PLUGS for your car, Please goto our Online Buying Section.